Consul General Victorio Mario M. Dimagiba, Jr. (center) receives the plaque of appreciation on behalf of the Philippine Embassy from Ms. Emily Tan, Chairman for Red Cross House Redevelopment Committee during the launching of the photo exhibition on 2 November 2018. Kultura Performing Group performs the Spanish-inspired Philippine folkdance, Pasa Doble, during the launching ceremony. The Choreo Ethnic Tribal Team performs Kahimanawari, a Higaonon ethnic dance of the Philippines. One of the short films which featured the survivors’ stories during Typhoon Haiyan which was produced by students of ITE College East, School of Electronics and Info-Comm Technology. 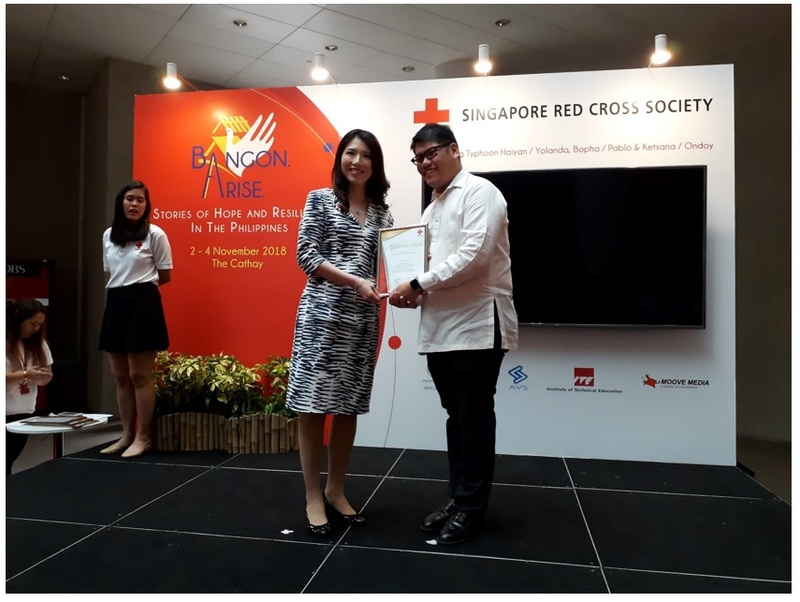 The Singapore Red Cross launched a commemorative photo exhibition entitled “Bangon. Arise. 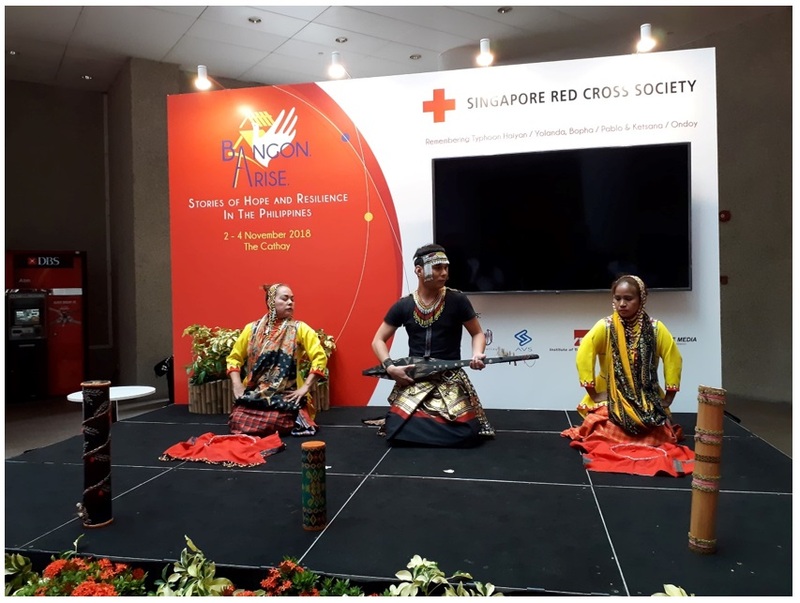 Stories of Hope & Resilience” at The Cathay which was held from 2 to 4 November 2018. The exhibition was inspired by the survivors of Typhoon Haiyan that caused widespread devastation in the Philippines five years ago. Consul General Victorio Mario M. Dimagiba, Jr. delivered a message on behalf of Ambassador Joseph del Mar Yap during the opening of the exhibition on 2 November 2018. He conveyed the Ambassador’s appreciation to the international community for its unwavering support and assistance in times of calamity. Furthermore, the Philippines pledged to continue to work towards addressing the challenges posed by climate change and to redouble the efforts to develop resiliency and better disaster risk management. 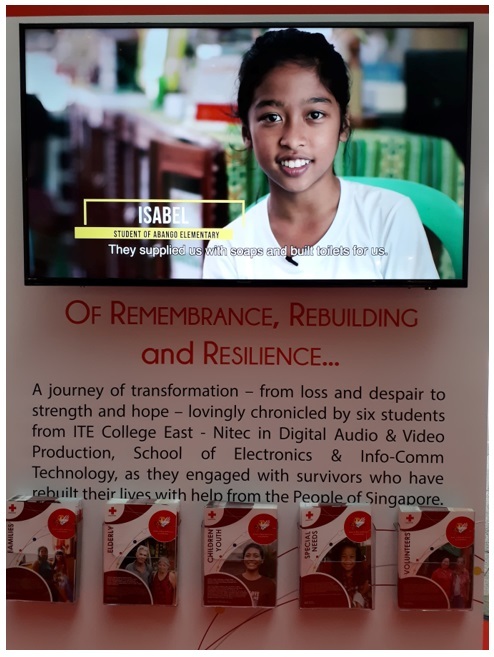 In addition to the photo exhibition, the ITE College East, School of Electronics & Info-Comm Technology produced seven short films which showcased the stories of the survivors of Typhoon Haiyan. 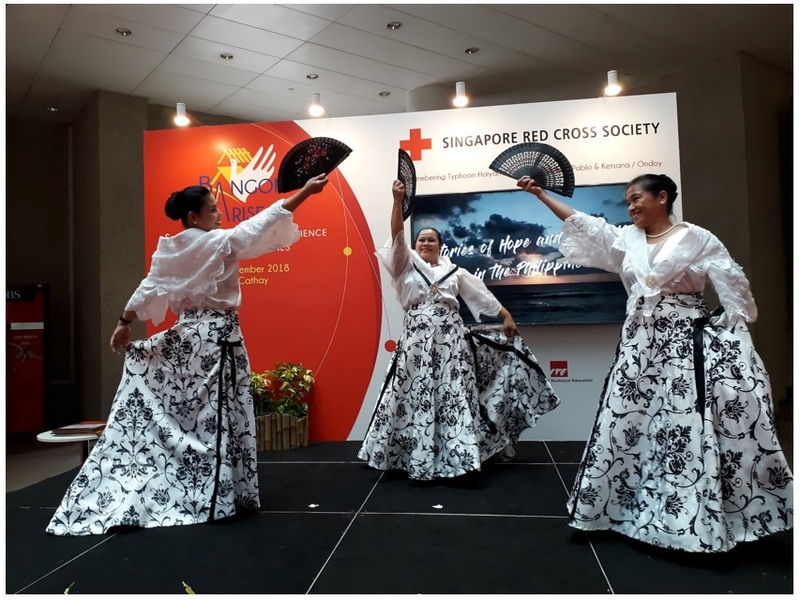 Among the highlights of the program were performances by Singapore-based Filipino groups of Pasadoble and Higaonon ethnic dance, a song number by Filipino a cappella group, Vocablends, and a guest appearance by Singapore-based Filipino celebrity, Pamela Wildheart. Guests at the exhibit, especially the children, had a fun time playing the sungka, a traditional Filipino game. There were also booths for Christmas gift donations, for the volunteers and a thrift shop which offered charity fun packs.